This is a list of the strangest games I have ever personally played. I realize there may be weirder games out there, and please share them in the comments below! The concept of Toribash is one that does not sound too strange. Essentially Toribash is a game where you are trying to fight your enemy in a martial arts battle to victory. The catch is that you have to choose what muscles you want to move, and you have access to every muscle in your body. This means in order to fight you must choose if you want to extend, contract or hold a muscle and things get really weird really fast. For example I could start by choosing to contract my hip and extend my knee and that would essentially more or less be a kicking action. The problem is more often than not you can’t figure out how to get things to work. Instead you make your character flail around like an idiot trying to hit your opponent. It typically ends with you falling on your face and simultaneously kicking the back of your head. It’s a lot of fun and is free so you should definitely try it out. But be warned: if you play online, get ready to lose because there are some weirdos in this world who actually know how to work this impossible game. Hint: Adding jetpacks to the game makes it infinitely more fun. In all fairness this game is a work of art and fans everywhere can’t stop talking about it. However, this doesn’t mean it isn’t absolutely out of this world in its levels of weirdness. 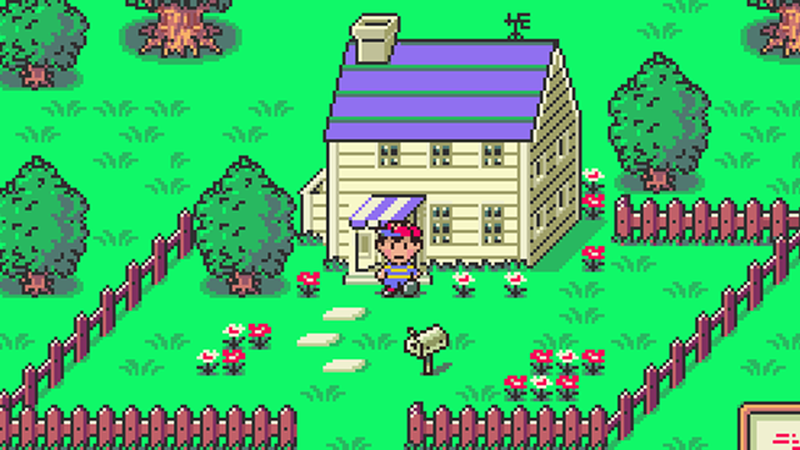 You start on a journey as a kid named Ness and you have to fight a super-powered fly, erase giant pencil statues, defeat an evil cult that wants to paint the entire world blue, and even fight an evil pile of puke. (which sounds gross, but to be quite honest while playing the game you don’t even think that much about it.) And these are only the beginning. It sounds crazy and nonsensical, but everyone who finishes the game is in awe of its beauty. I don’t really know how I stumbled across this hidden gem. The whole point of the game is to eat everything on the screen, and that’s pretty much the extent of it. You start off as a small worm that is only big enough to eat things such as small plants and then once you eat enough small plants you grow big enough to eat things like skateboards, and then you can move on to people and you finally grow large enough that you can eat entire skyscrapers. That’s pretty much the extent of the game, there’s no real purpose. 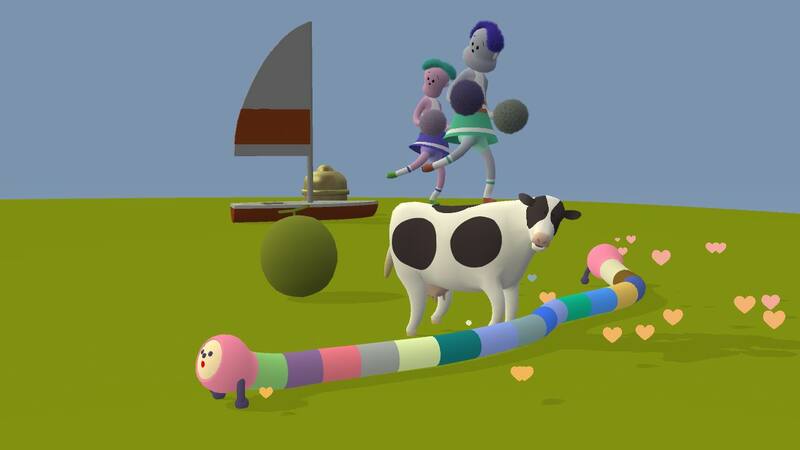 After you quit the game, your score is uploaded online and it helps grow the entire noby noby boys community worm as a whole. The goal is to play everyday as a new worm so that you can continue to grow the community worm so large that it reaches new planets. When I stopped playing about 3 years ago the entire community had reached the planet mars. I did a quick google search and found out that the community has currently reached the planet Uranus. This game has been going on since 2009, so players from all over the world have spent the last 6 years trying to reach every planet. Will they ever reach the final planet Neptune? I can only hope so. 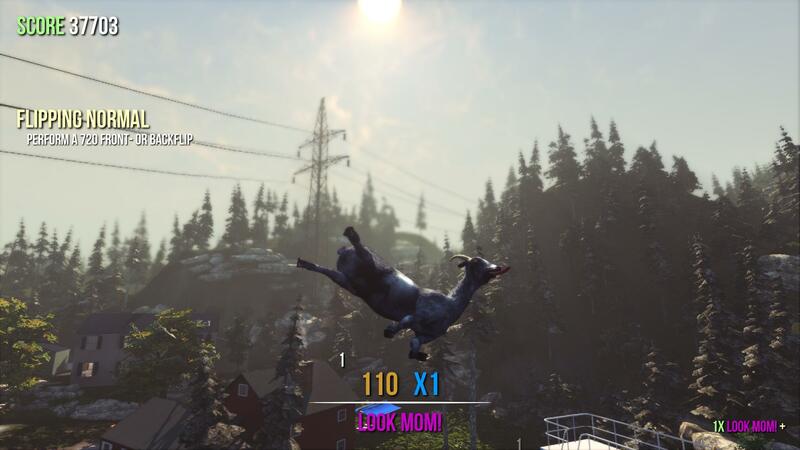 Chances are you have heard of the game goat simulator. It’s received quite a bit of attention since its release last year, and yes, it is exactly what it sounds like. I have never felt more like a goat then when I have played this game. The whole game was made essentially as a joke. There are numerous bugs and glitches in it and that’s okay because the developers didn’t want to make a nice polished game. The whole point of the game is to be buggy. Essentially you run around as a goat and grab stuff with your tongue. You can do many different things such as call aliens and go to space. Make it rain goats. Get a cool goat jetpack and many other strange things. The coolest part are the variety of characters in the game. You can be a giraffe goat, an ostrich goat and as of recently, you can even be a microwave goat–just a microwave with 2 legs. 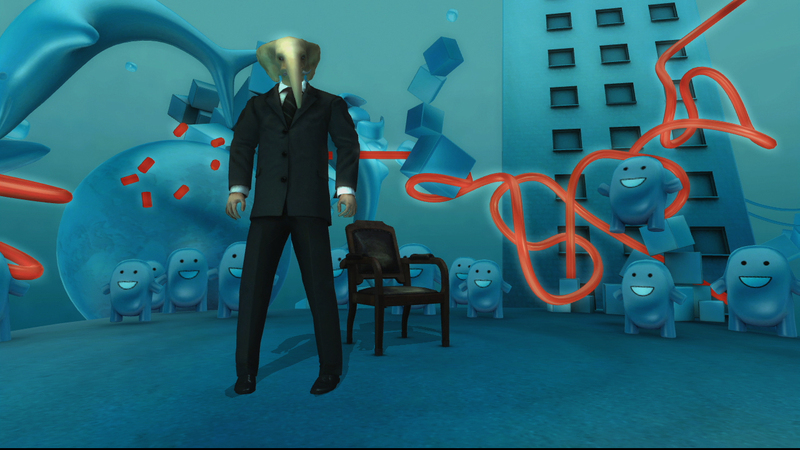 Seriously this game’s weird, but I love it. Alright we made it to the top weirdest game that I have ever played. Almost no one I’ve talked to has ever heard of this game and I really wish I could say that I don’t know it either. I originally got it because the title description made it sound like I could make my own music. Instead I sat staring at a screen with the most confused look I have ever had in my life. I also couldn’t get rid of that confused look for the next 3 weeks. I went to school and people were like “Joel what’s wrong with your face?” I couldn’t answer them though because the game had broken my ability to do anything. Essentially in .Detuned you play your favorite songs in the background and control a man who sits in a chair. You can make the man do things like walk around the chair, cough and adjust his sleeves. Sorry was that too normal for you? Well you can also do things like turn your head into a balloon, an elephant or various other things. And all the while weird smiley square people are staring at you and cheering you on. You don’t have the option to move away from the chair, you must stay in its vicinity the whole time. As you play more and more you discover different buttons perform different actions. Why do I want to preform all these actions you may ask? That’s the best part. The whole point of the game is actually to make a music video based around your character sitting in the chair. There’s no way to beat the game, you just experiment until you don’t want to experiment anymore. You quickly find out all the cool creative ways to make a music video of a man and a chair. Still confused? You can watch the video below if it helps, but chances are it will confuse you even more.